The standard range consists of wine dispensers that are made of high grade steel. They have between 6 to 20 bottle positions. The cooling is provided by powerful compressor cooling, which, if desired, placed separately and at a distance from the dispenser. 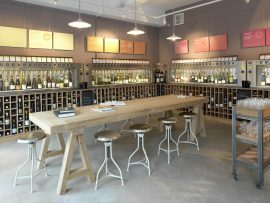 The cooled air is blown from the side (depending on your choice from the left or right), every wine dispenser is also available with glass back wall. Moreover, the standard dispenser can be delivered spray painted in any RAL colour or covered with solid oak. Thus, the standard is suitable for every conceivable interior. 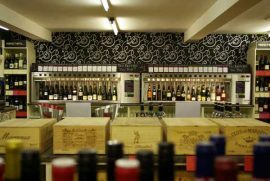 Each wine dispenser is available in both a single row of bottles (the slim-line), as well as a double row of bottles (normal line), depending on the available space. In addition there is a wide choice of operation, ranging from manual operation, portion control with or without connection to a cash register or self-service with the aid of electronic cards. 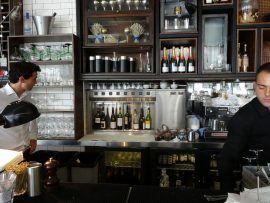 Please check out these "By The Glass" hot spots.